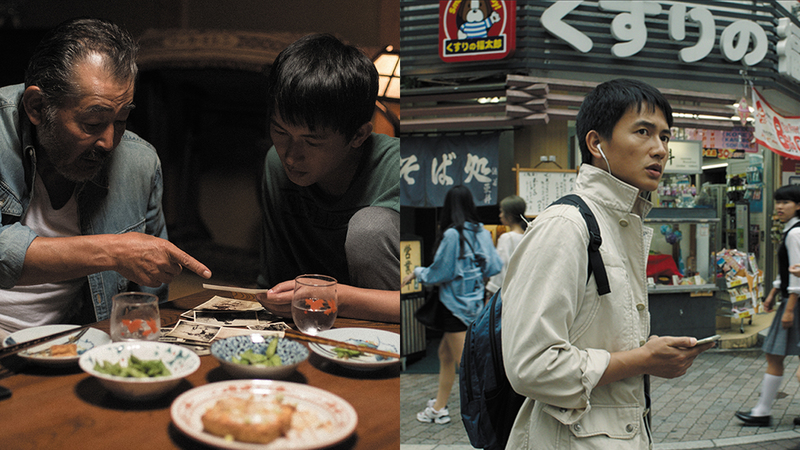 Cheng Liang, a young Chinese immigrant living in Japan, pretends to be someone else to start his new life in a traditional Japanese soba restaurant. He gradually earns his trust living and working with the elderly soba master, but his real identity could be exposed at any moment. An naive young man from China is anxiously memorizing “his hope” in the middle of the noisy crowd in Shibuya, Tokyo. Something that might change his destiny awaits him. 90 year old architect Shuichi Tsubata lives with his wife in a single story house in the woods in Aichi. Self-contained, they embody the ideal of many in this modern age. 50 years earlier, as a skilled architect, Shuichi had been in charge of planning a new town. He had wanted to build houses that coexisted with nature, but his idea was rejected by the council. As a result Shuichi left his work, purchased land of his own and built a house for him and his wife. One day, a client visits Shuichi to ask for his architectural design and challenges Shuichi to realize his ideal building, presenting an opportunity to fulfill his vision of coexistence with nature. 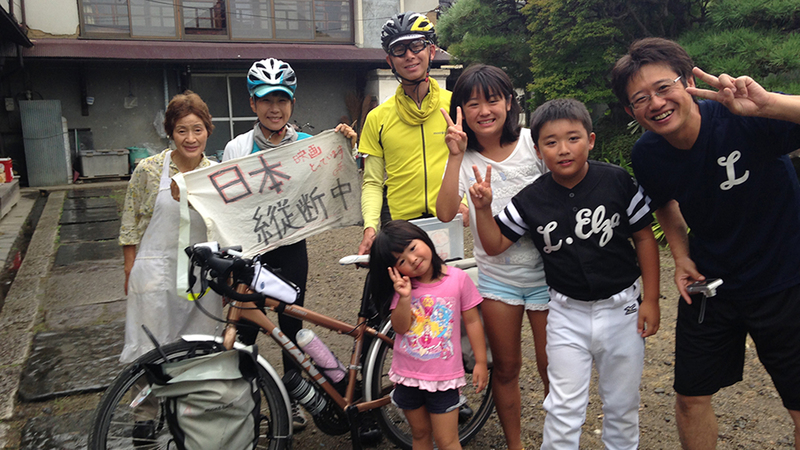 3,824 kilometers in 57 days: in the summer of 2015, filmmaker Ayako IMAMURA, who was born deaf, started a bicycle journey through Japan. For her this was a physical challenge and an experiment in communication. Having felt frustrated when communicating with hearing people, she decided to confront the problem head on, exploring not only her country, but also herself in this documentary road movie. Saleswoman Tohka returns to the island where she grew up to attend her late mother’s funeral. She is met by her father, Seiji, who is wearing her mother’s clothes. Seiji tells Tohka that he is getting married again, to a local handyman named Kazuo. While Tohka is unable to process this situation, her brother Midori is happy with his father’s decision, and he and the rest of the family get ready to celebrate the new couple. Seiji might actually be serious about his stated desire to become a bride. TYasuko, who is a shut-in having a problem of hypersomnia disorder, lives with her boyfriend Tsunaki working at the editorial department of a gossip magazine. Yasuko never sticks to any jobs very long and is currently unemployed. Tsunaki on the other hand, is not passionate about his job but recently something has happened to his state of mind. Even after 4 years since the Great East Japan Earthquake, the residents of Futaba town in Fukushima are unable to return home and have been living in temporary housing due to the nuclear crisis. What gives the people of Futaba hope is the fact that Hawaiians of Japanese descent have been handed down the Bon Festival song by the people of Fukushima who immigrated to Hawaii over 100 years ago. 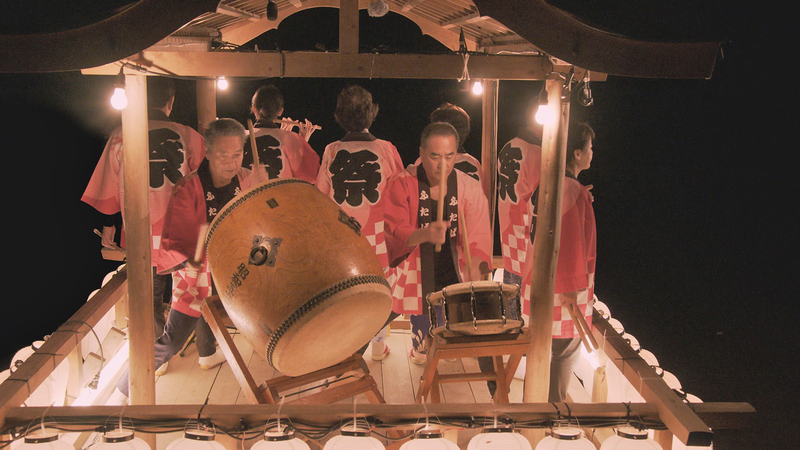 People from Futaba head to Hawaii in order to demonstrate the Futaba Bon Uta, a ritualistic song sung for Bon Festival. Director Yuji Nakae devoted 3 years making this moving documentary accompanying people who will not allow traditions deeply rooted in their region to die out. The Department of Graphic Design at Tama Art University in Tokyo produces unique animated films every year. 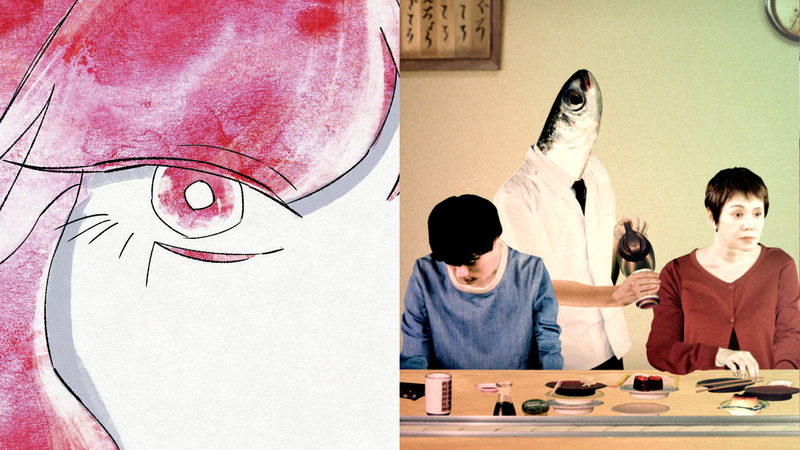 This compilation unites 15 handpicked shorts for animation film as well as Japan lovers! 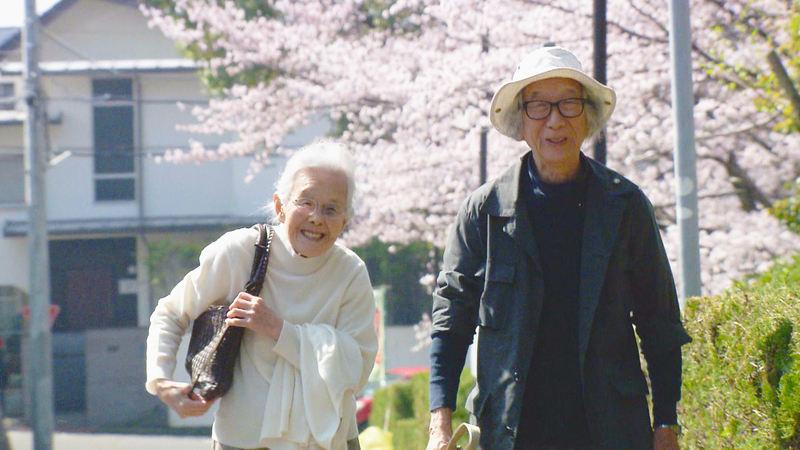 Fifty-two-year-old Sakiko visits her son living in Tokyo. As she has dinner with him in a sushi restaurant with a strange server, she speaks ill of her mother-in-law and gets angry all of a sudden. Director Hiroshi Okuyama devoted 2.5 years making this unique stop motion animation using 3,000 photos which he made with 35mm disposable camera. Yo, a young girl who encounters while hospitalized, Yayoi, a kind nurse with whom she becomes emotionally attached. A year later, the two meet once again by chance but under quite different circumstances. Gone is the kind nurse and in her place is a Yayoi who is prostituting herself. Despite the gap in their ages and maturity, they foster a relationship through one summer they share together. The greatest taboo of the Battle of Okinawa were Guerrilla units composed of boy soldiers. Until now, not even the Japanese people knew the full scope of these secret troops, and survivors have been afraid to share their tragic details. Okinawa became the bulwark to protect the Japanese mainland toward the end of World War II. After the Americans landed, a violent battle ensued resulting in the loss of over 200,000 lives – many of them civilian. This documentary uncovers Japan’s deepest secrets concerning the Battle of Okinawa, and also sounds alarms about modern Japan’s recent steps toward remilitarization. 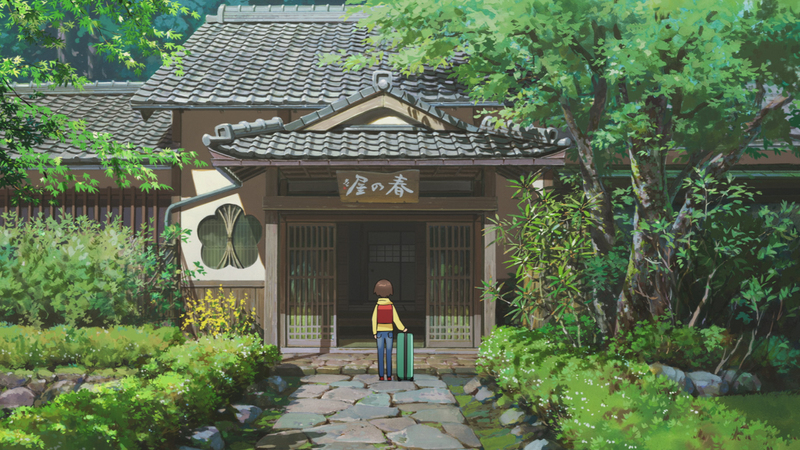 After losing her parents in a car accident, Okko goes to live in the countryside with her grandmother who runs a traditional Japanese inn built on top of an ancient spring. She discovers there are spirits who live there that only she can see – not scary ones, but welcoming ghosts who keep her company. This is soon put to the test as new guests challenge her ability to be a gracious host. Famed anime studio Madhouse seamlessly blends immersive, idyllic landscapes with the storybook charm of Okko’s beloved ghosts. Okko’s Inn delivers a rare ghost story grounded in the trials and joys of humanity. Senkotsu is a tradition that is more or less extinct today, except on Aguni Shima island. It is said that when those who are buried are dug up at the time they have become bone and no flesh, and their bones are washed by hand by those related to them, the living are finally able to bid the dead farewell. 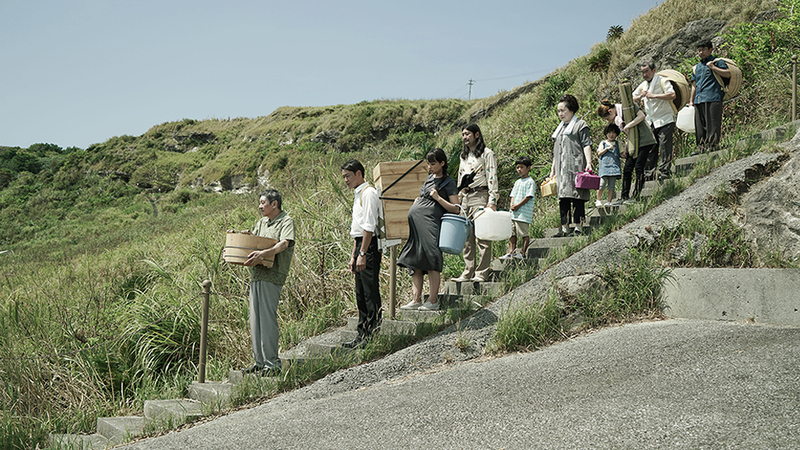 The Shinjo family returns home to Aguni Village from all over Japan to “wash the bones” of their mother, Emiko. Back home the children discover their father, now living alone, has started drinking again. Through the traditional “senkotsu” ceremony, the family are forced to confront the situation. In 1941, as Japan prepares its attack on Pearl Harbor, 16 year-old Toshihiko leaves his parents in Amsterdam and moves to the seaside town of Karatsu where his aunt cares for his ailing cousin. Immersed in the exquisite nature and phenomenal culture of Karatsu, Toshihiko befriends the beautiful, Apollo-like Ukai, the contemplative Kira, the ingenuous Akine and the brooding Chitose as they all contend with the war’s inescapable gravitational pull. 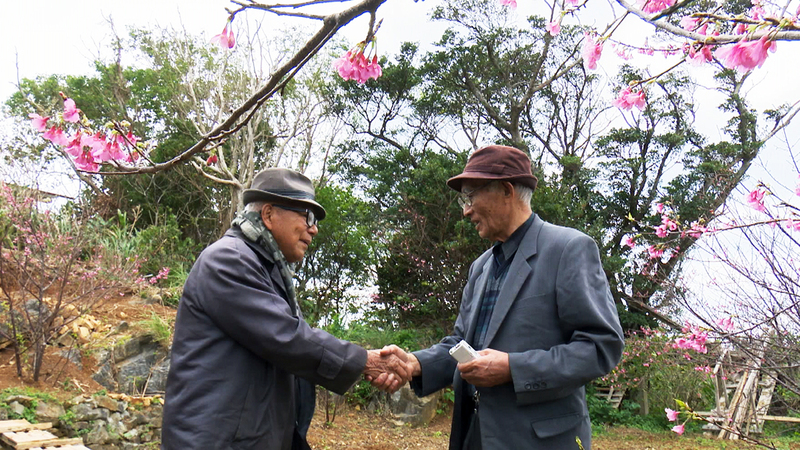 This documentary is set in a small mountain village in Nagasaki Prefecture. 13 households, 54 residents remained and they all help each other to live. More than fifty years ago, plans surfaced for constructing a dam, which residents have steadfastly opposed. Villagers who want to protect a hometown blessed with abundant nature and clean water have been pitted against a mighty power. Rather than focus on the opposition movement, this film turns its sights on the lives of people now bound together like family in their coexistence with nature. Snow covered mountains in japan. every night, a fisherman makes his way to the market in town.